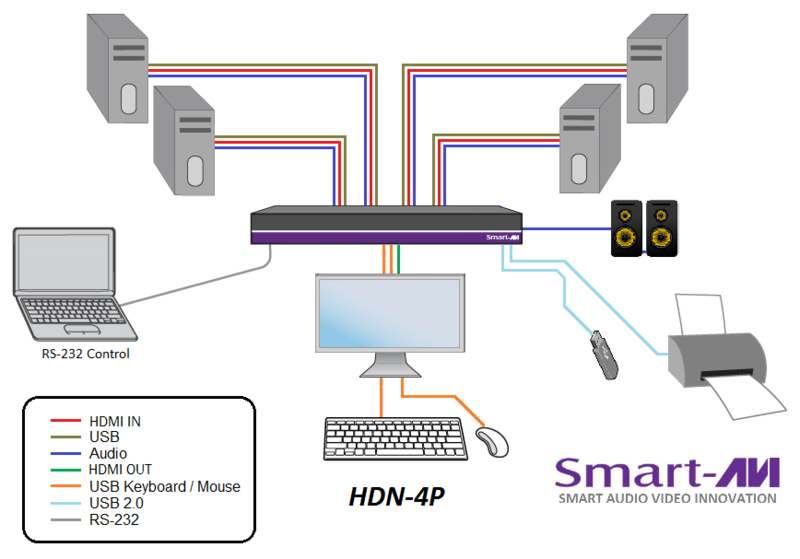 The HDN-4P is a 4-port HDMI KVM switch. 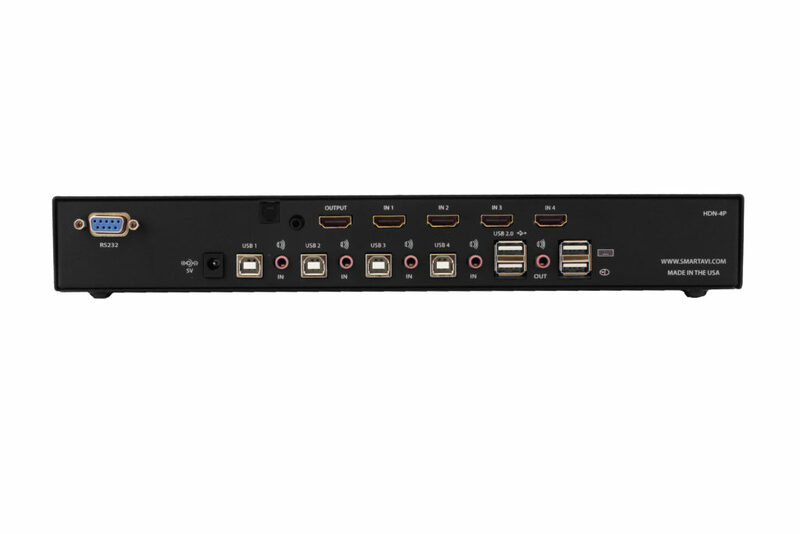 Outfitted with 4K-ready HDMI and USB 2.0 connectors, the HDN-4P allows users to take command of up to four connected computer systems via keyboard, mouse, and monitor. Front Panel Buttons: simple push buttons allow users to switch operation between connected computer systems with ease. RS-232 Commands: the HDN-4P features RS-232 compatibility, making it easy to control via RS-232 commands. TCP/IP: connect to SmartAVI's optional web-based control client for easy management of the HDN-4P. The HDN-4P is a terrific addition to any manager's workspace. 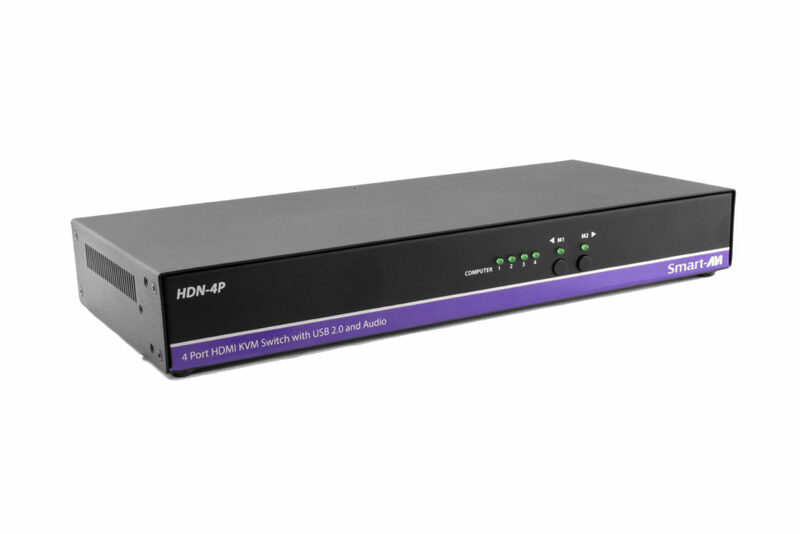 Supervisors in office settings, industrial control rooms, and server hubs can easily take control of multiple connected systems using the HDN-4P's KVM control functionality: simply connect the HDN-4P to systems' HDMI and USB ports, and start working! Front Panel Buttons, Select/Switch between sources and view the current selected channel.